I'll post this in both threads. For the heck of it, I just went to Virginia Classic Mustangs and entered the sku SU-1651. 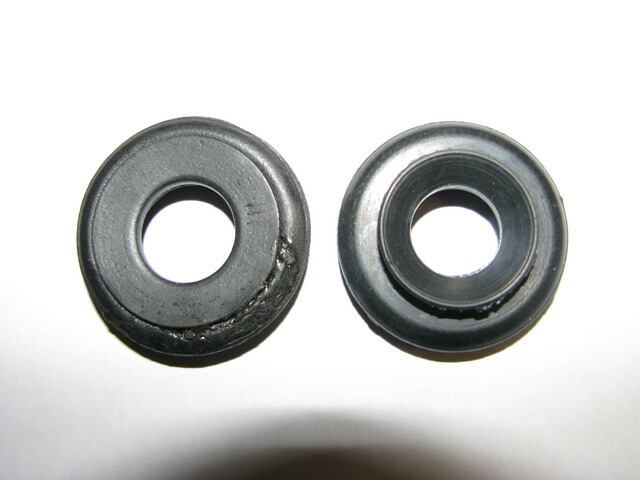 That is the part I bought (but can't find). 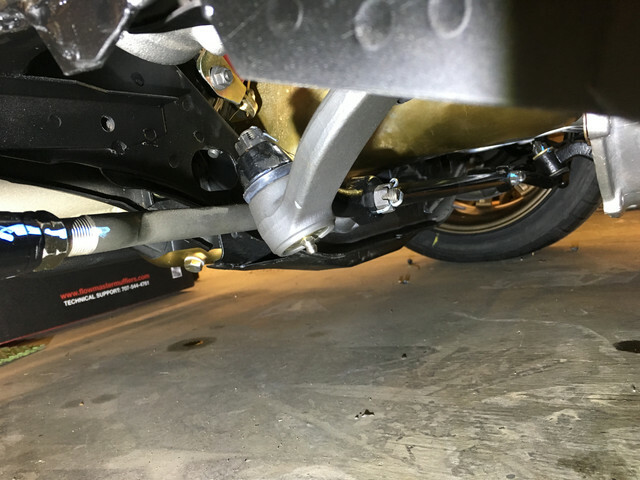 From the picture shown, this does NOT fit over the pitman arm, but merely sit on the top between the arm and drag link, so basically, it just sit there. Maybe this is the difference between the 67-70 and the 71-73's. As mentioned before, Rackerm's picture shows the seal appearing to be fitted OVER the pitman arm. I can't be sure on that as I no longer have an original pitman arm. Perhaps someone else can confirm yes or no. Regardless, there has to be something better than that stupid felt ring seal that the Rare Parts one has for our cars. It may however, come down to what ever works, works. As we have two very similar posts going on this subject at the same time, I'll continue here as it was my post initially. I found that illusive so-called replacement seal and I did buy it from NPD. It too is listed as 67-70 #3A352-1A, SU1651 on VCM. There is no way on this earth that it is the same part, only uncompressed. The dimensions do not stack up to support that theory. The original outside is 1.625" diam. and the replacement is 1.550". The internal major diameters are not easy to measure accurately, but clearly there is about .100" difference. The center hole has about .085" difference. In short, there are too many discrepancies for it to be represented as the same. So, does anybody make the correct seal???? If so I'd love to find out before I look at making my own. Here are a couple of pictures. The difference is obvious. You are correct, the earlier ones had the separate (external) valve and ram. Bump power steering is a good way to describe the way it works. (01-17-2019, 02:03 PM)Don C Wrote: You are correct, the earlier ones had the separate (external) valve and ram. Bump power steering is a good way to describe the way it works. Thanks Don. I thought that is what my friend with the 70 Boss 302 called it. So my ears weren't clogged!! 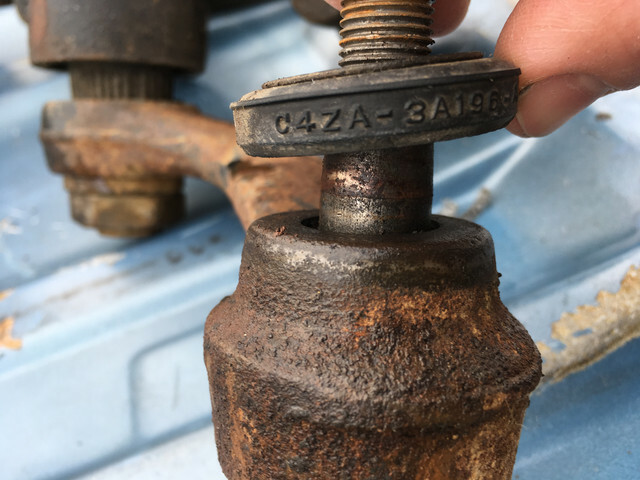 It's been a few days since the last post up, lots looking but no-one has answered if there IS an exact replacement seal for the C4ZA-3A196-A? 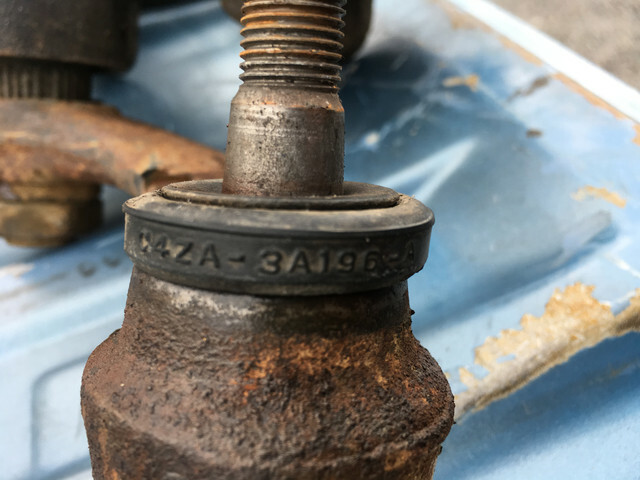 This seal obviously has been around a long time and used on many pitman arms, not just the 71-73's. Also does anyone have a picture of an original pitman arm from a 71-73 Saginaw PS box WITHOUT the seal attached? As I said, the ones I had were total junk and that's where they went before I paid attention to that seal area. The Rare Parts repop arm I have does not look the same as in Rackerm's picture, but I'm thinking the 67-70 seal might be a suitable replacement if it just sits on top of the arm as it appears in the picture on VCM's website for sku SU-1651. Until I can go work on the car in Spring, I can't verify that it will work myself. So, can anyone else in the same situation assist me here? 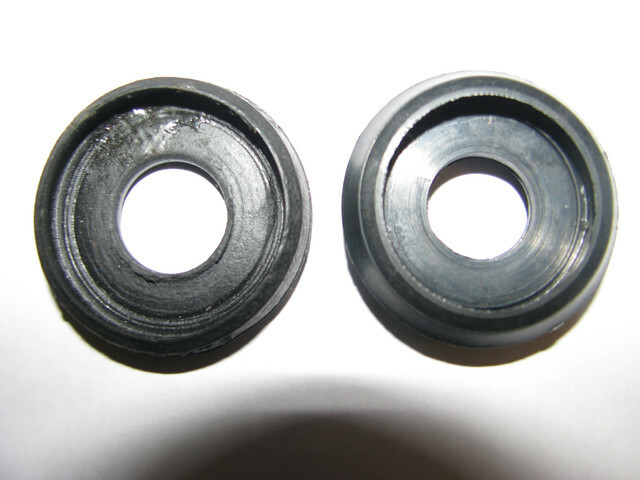 I have the ability to make tooling to reproduce a seal, but finding some raw rubber material would be the biggest challenge. Costs might be prohibitive, so if the SU1651 or the 3A-352-1A from NPD does the job, good enough. Here you go. Clean one is my 71 with the “wrong” seal. Crusty photos are off my 73 parts car. Ah, so that's what it looks like. The lip of the seal just goes over the edge of the casting, whereas the repop seal would just sit on top as I thought. I was thinking that the top edge of the casting may have been machined to locate the seal, but it looks like it relies on the casting to locate it. The Rare Parts arm looks like your top picture, which differs from the original in shape. Thanks for taking the time to take and post the pics.